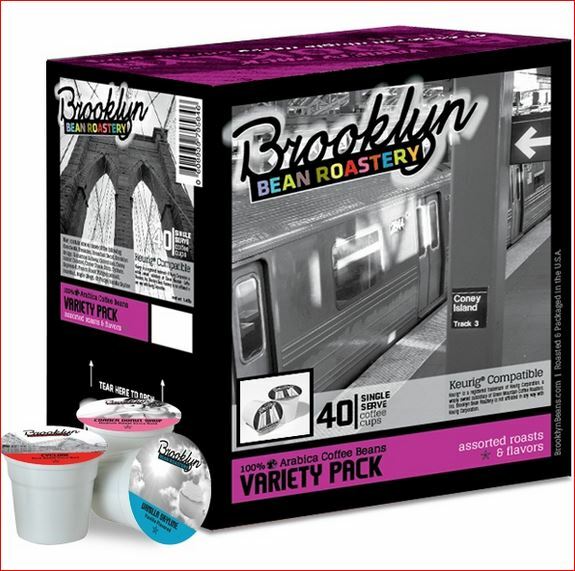 Brooklyn Bean Roastery K-Cup Variety Pack Giveaway!! Brooklyn Bean Roastery was created by 3 guys from Brooklyn who had an appreciation for originality, quality and local pride. They knew where to get the best slice of pizza, the perfect donut and find the best apartment on the perfect block in the perfect neighborhood.. What they couldn’t find was the quality coffee they craved, so they began making it themselves. BOY- am I glad they did! Brooklyn Bean Roastery offers tasty flavors such as Cinnamon Subway, Coney Island Caramel, Maple Sleigh, Fuhgeddaboutit & Vanilla Skyline and your traditional morning favorites like Breakfast, Breakfast Decaf, Colombian, Expresso-O & Hazelnut. There’s a variety of smooth mild blends as well as a rich, dark roasted flavors sure to suit any palate! 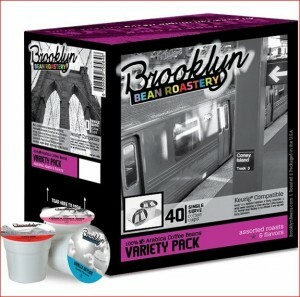 I’ve been sipping on Brooklyn Bean Roastery K-Cups for the past two weeks and haven’t met a flavor I didn’t like yet. The fun box pictured above also doubles as a K-Cup dispenser which I thought was very clever and convenient. I LOVE that they only use the highest quality Arabica beans for each of their blends and that they are roasted and packaged right here in the U.S.A in New York. One lucky CityGirlBigWorld reader will win a 40 ct. Variety Pack of K-Cup! Use the Rafflecopter form to enter below!